October 16 and 17 marked the 9th annual Archaeology Fair held at the Museum of Science in Boston. This event is one of my favorite outreach programs each year. Numerous archeologists from across Massachusetts and New England converge on the Museum of Science with hands-on activities for kids and adults of all ages. It is always interesting to see the creative ways my colleagues are able to engage new generations with archaeology. It is also a blast to see how excited everyone gets when they get to touch real artifacts. 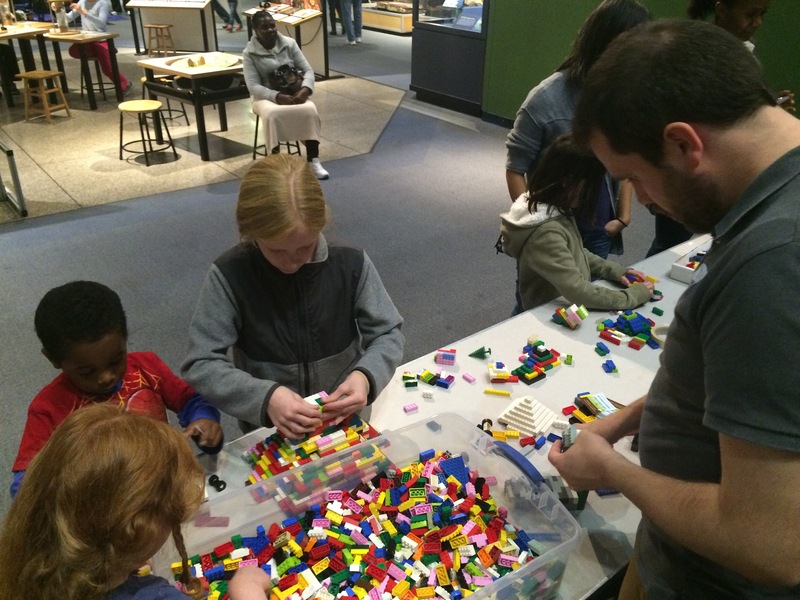 This year I brought the museum’s LEGO archaeology activity and our Pseudomorphs detective game and both were a big hit with the participants. I am very excited for next year’s 10th anniversary and we are already talking about ways we can make it even bigger and better! Here students are creating a Maya temple, ball court, and cenote. Very creative! More about Pseudomorphs: In Pseudomorphs, students are handed objects and asked to identify which are natural formations, which are genuine artifacts, and how they arrived at their conclusions. For example, one pair of objects in our game includes a polished stone ax (the artifact) and a waterworn stone cobble (the natural formation). While the students don’t have to speculate how the objects were used, the exercise invites them to develop their visual literacy skills. Visual literacy has received a lot of attention over the past few years. In 2008, Sheila Naghshineh and her colleagues published a study suggesting that formal art observation training improves medical students’ ability to visually diagnose disease. In teaching art history at Harvard, Jennifer Roberts requires her students to spend a long time looking at one painting, acknowledging that these techniques help students understand that to really take in what an object can tell you one needs to engage in a critical examination. These skills can start with a simple game like Pseudomorphs. Natural objects can be collected almost anywhere (check with property owners first! ), and artifacts can be borrowed from museums, historical societies, or private collectors. So take a crack at building your visual literacy skills by creating and playing your own Pseudomorphs game! 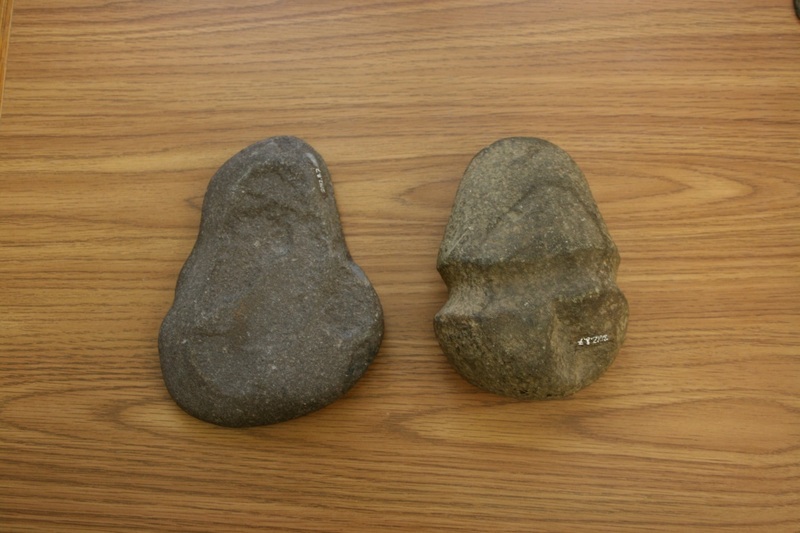 Above is a pair of stone objects that are used in the Peabody Museum’s pseudomorph game. The object on the left is a random rock and the object on the right is an ax. The groove visible near the center of the ax would have been used to help attach the stone to a wooden handle.